The Swiss population in Milwaukee has not been a large one over the years, but Swiss immigrants and their descendants have contributed to Milwaukee’s political, religious, and cultural climates in critical ways. In 1930, some 4,000 people in the metro area reported their father’s birthplace as Switzerland. In the early twenty first century, some 8,000 people in the metro area report Swiss ancestry in the American Community Survey. George Wild, a carpenter, was the first Swiss immigrant in Milwaukee, arriving in 1837 from Canton St. Gallen. Many of the first arrivals from Switzerland were enticed by their own government. In the mid-nineteenth century, the Swiss agricultural economy was in a depression;because many citizens engaged in agricultural work of some form, very few Swiss saw opportunities for social and economic advancement in their home countries. As an inducement to leave the country, the Swiss government purchased land throughout the American Midwest, and offered it to citizens who were willing to emigrate. Many of these Swiss settled not in Milwaukee, but in the nearby Town of Waukesha and in Washington and Ozaukee counties. The settlement in Brookfield contained the highest proportion of Swiss outside of Milwaukee. Still others settled in areas to the west of the city, founding the town of New Glarus in Green County and generally settling in rural areas, reflecting their agricultural backgrounds and knowledge of dairy production. Swiss immigrants played important roles in the development of Milwaukee institutions. For example, John Martin Henni, a Swiss immigrant from Obersaxen, Graubünden, was instrumental in establishing Marquette University and founding St. Francis Seminary. 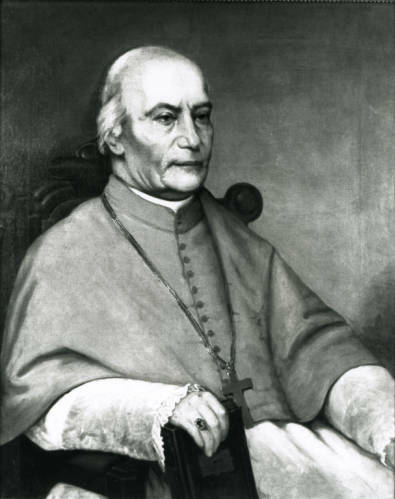 In 1844, Henni was appointed to be the first bishop of the new Diocese of Milwaukee, and later its first archbishop. Emanuel Lorenz Philipp was the son of Swiss immigrants from Zizers, Graubünden. He provided a conservative challenge to Robert La Follette’s governorship by critiquing railroad regulation and the direct primary and was a Milwaukee county police commissioner from 1909 until 1914. That year, he was elected governor of Wisconsin and subsequently was twice reelected. The Swiss have also been visible in some of the city’s most celebrated cultural institutions, particularly with German organizations. C. Hermann Boppe, for example, was born in Canton Aargau in 1841 and arriving in Milwaukee in 1877. Boppe served as editor of Der Freidenker (The Free Thinker), the official paper of the North American Turnerbund, from 1879 until his death in 1899. He was one of the best-known Turners in the city and was a member of the Swiss Club. In 1904, the Swiss opened their own Turner society, which still operates a gymnastic academy. The Swiss in Milwaukee continue to maintain a cultural heritage. The Swiss Turners Gymnastics Academy, located in a building styled like a Swiss chalet in West Allis, is the largest gymnastics training facility in the state of Wisconsin. Organizations such as the Swiss Ladies Society of Milwaukee and Swiss Singing Society of Milwaukee still help to organize heritage-related celebrations, such as Swiss Independence Day on the first Sunday of August each year. ^ 1930 figures tabulated from the 5% sample of the 1930 census at Steven Ruggles, Katie Genadek, Ronald Goeken, Josiah Grover, and Matthew Sobek. Integrated Public Use Microdata Series: Version 6.0 [Machine-readable database]. Minneapolis: University of Minnesota, 2015; 21st century figures are from U.S. Census Bureau, American Factfinder, Total Ancestry Reported from the American Community Survey, 2009-2013 5-year estimates, B04003, available at http://factfinder.census.gov/faces/nav/jsf/pages/index.xhtml. ^ Maralyn A. Wellauer-Lenius, Swiss in Greater Milwaukee (Charleston, SC: Arcadia Publishing, 2010), 7, 9, 20; Kazimierz J. Zaniewski and Carol J. Rosen, The Atlas of Ethnic Diversity in Wisconsin (Madison, WI: The University of Wisconsin Press, 1998), 75. ^ Wellauer-Lenius, Swiss in Greater Milwaukee, 10, 41, 49; Frederick Hale, Swiss in Wisconsin (Madison, WI: The State Historical Society of Wisconsin, 2007), 31. ^ Wellauer-Lenius, Swiss in Greater Milwaukee, 52, 114-117. ^ Wellauer-Lenius, Swiss in Greater Milwaukee, 113, 117, 125; and Swiss Turners, “The Swiss Singing Society of Milwaukee,” Swiss Turners Gymnastics Academy, http://www.swissturners.com/societies/singers.htm, accessed October 21, 2011. Wellauer-Lenius, Maralyn A. Swiss in Greater Milwaukee. Charleston, SC: Arcadia Publishing, 2010.